Chapter seven of ‘A Dangerous Delusion: why the west is wrong about nuclear Iran’ by Peter Oborne and David Morrison, takes up the basic facts in the public domain regarding Iranian possession and planning for nuclear weapons which mainstream media ignore, and asks why they do this. • Iran has no nuclear weapons. • Since 2007, US intelligence has held the opinion that Iran hasn’t got a programme to develop nuclear weapons and has regularly stated this opinion in public to the US Congress. • The IAEA does not assert that Iran has an ongoing nuclear weapons programme. • Iran does have uranium-enrichment facilities. But as a party to the NPT, Iran has a right to engage in uranium enrichment for peaceful purposes. Other parties to the NPT, for example, Argentina and Brazil, do so. 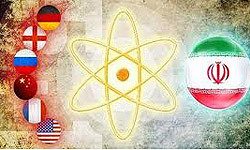 Iran is not in breach of any of its obligations under the NPT. • As required by the NPT, Iran’s enrichment facilities are open to inspection by the IAEA, as are its other nuclear facilities. Over many years, the IAEA has verified that no nuclear material has been diverted from these facilities for possible military purposes. Iran is enriching uranium up to 5% U-235, which is appropriate for fuelling nuclear power reactors for generating electricity, and up to 20% U-235, which is required for fuelling the Tehran Research Reactor. • While Iran’s nuclear facilities are open to IAEA inspection, those of Israel and India (allies of the United States) are almost entirely closed to the IAEA. Yet Iran, which has no nuclear weapons, is the object of ferocious economic sanctions and threats of military action. By contrast, Israel (with perhaps as many as 400 nuclear bombs, and the capacity to deliver them anywhere in the Middle East) is the object of more than $3 billion a year of US military aid. These are basic facts about Iran’s nuclear activities, facts that are (if you search for them) in the public domain. Yet the mainstream media in Britain rarely mentions any of them. As a result, almost all of its reporting is misleading, and some of it completely false.